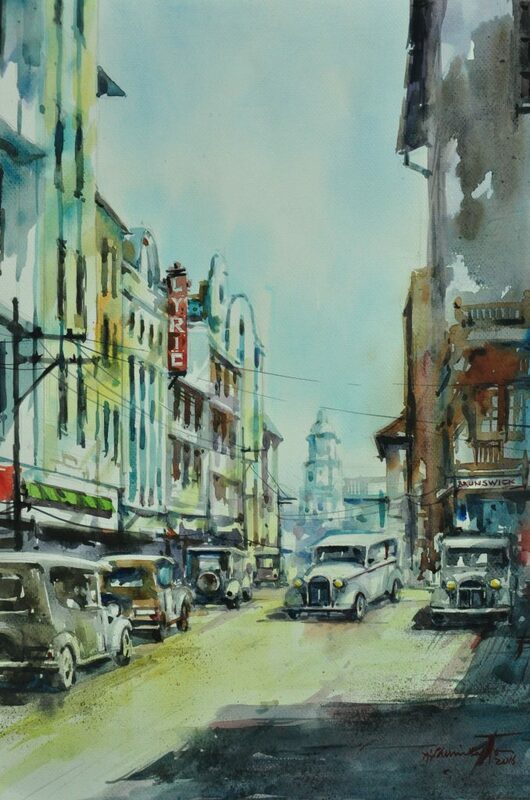 Time and again, people have always been fascinated with nostalgia. It is a piece of time preserved and suspended; a fond feeling and yearning for days gone by; to be lost in the past while rooted in the present. 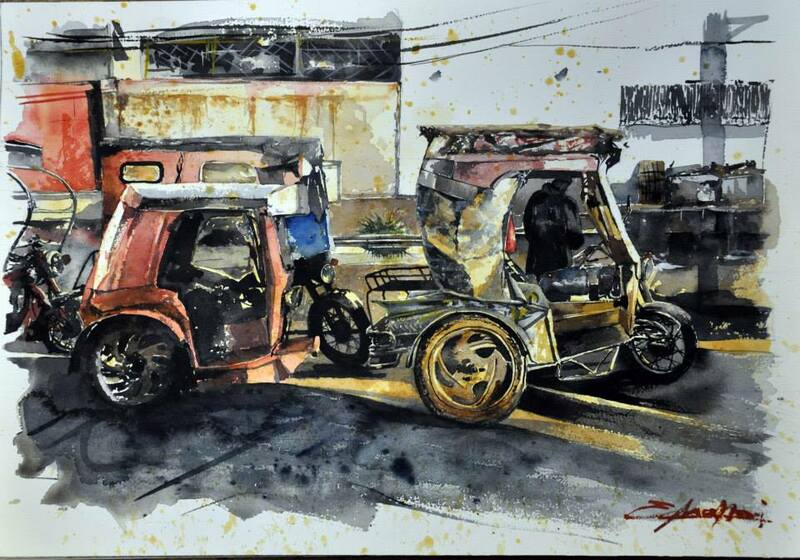 These two artists took it upon themselves to capture the fine art of nostalgia. 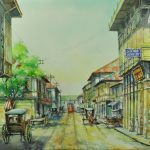 Alwinder’s pieces are akin to walking the streets of Old Manila – the cobbled paths, the capiz windows, the horse-drawn carriages – a walk back in time. 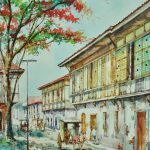 He pours over and studies old historical photographs Manila, and sets to the task of documenting her little details: the brick and stonework, the dust, and the memories that go with it. 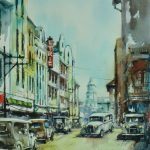 More often than not, his watercolor photographs represent impressions of the old capital in all its glory. Under these revisionist vistas is a cry for preservation and protection of our once-rich and opulent culture, now lost to the throes of war, capitalism, and modernism. 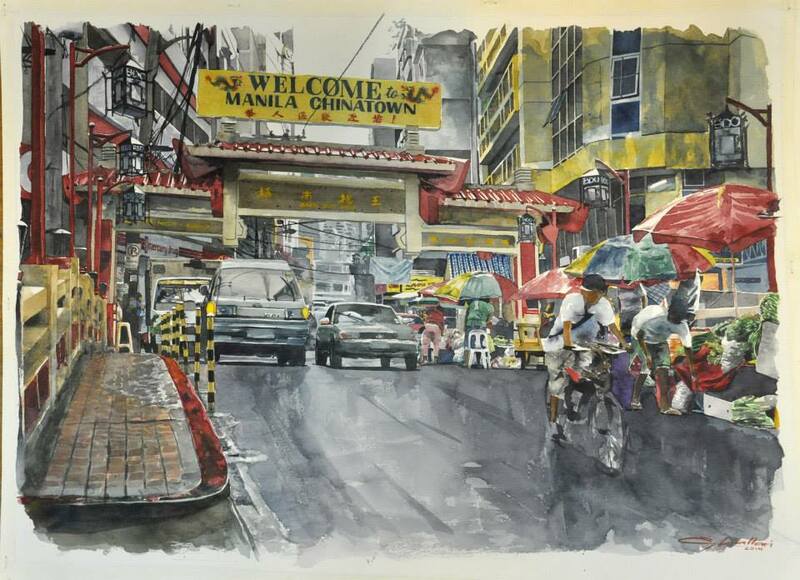 On the opposite end of the spectrum lies Erwin, whose nostalgia is rooted in the urbanscape. 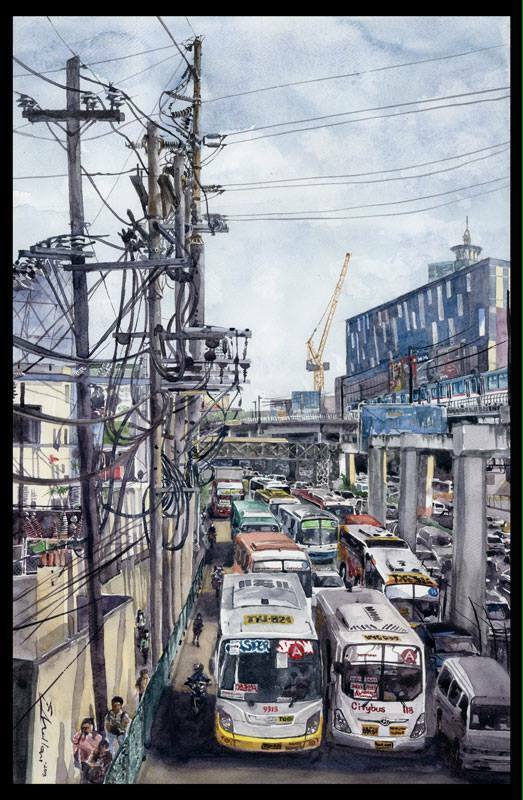 This is the Manila choking in its populace; the Manila drowning in smog, tethered by wires. 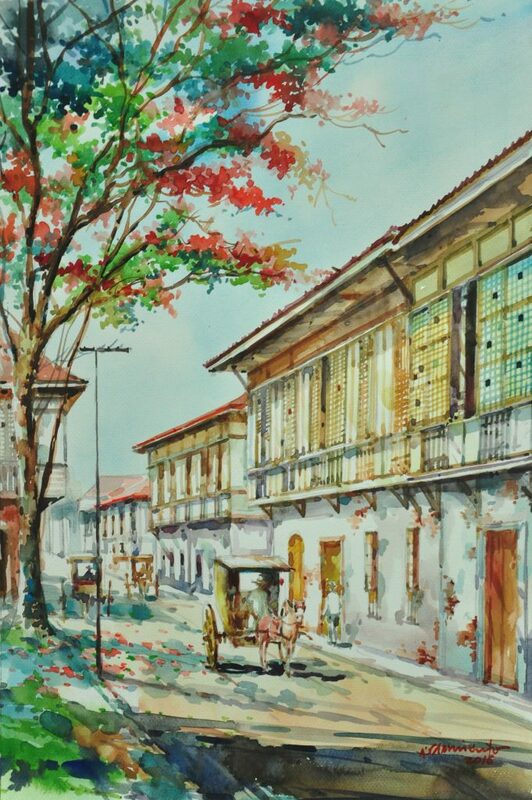 This is the Manila as it is – a city of the new world, its future still yet to be told. 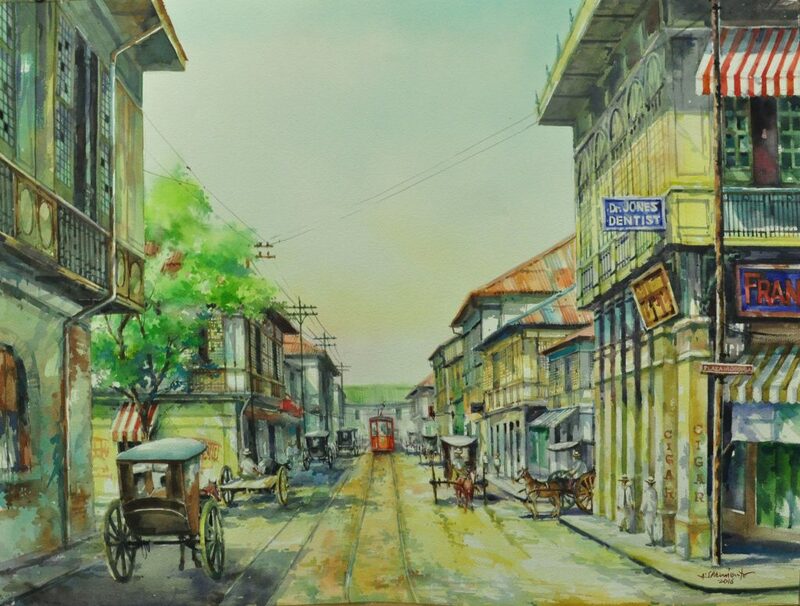 There is something soothing about the way Erwin paints his version of Manila. 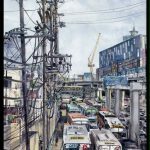 Muted, dreamy, and dreary, his retrospect view of Manila is both unabashed truth and beautiful to behold. 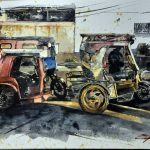 Art Circle Gallery is staging a two-man exhibition featuring the seminal works od Erwin Mallari and Alwinder Sarmiento, in celebration of their artistic documentaries of realism through the ages. 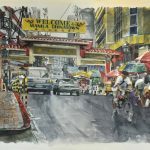 Entitled, Now and Then: Retrospection and Introspection, this exhibit allows visitors a glimpse of two sides of Manila at the edge of its past and at the start of its future.